Euro emissions standards: what do they mean? With the introduction of clean air zones, higher VED bands and city charges for older diesels - it's now more important than ever to know your vehicle's Euro emissions standard. In the battle against air pollution, emissions standards have gotten more and more stringent since Euro1 was introduced in 1992. Each of the standards - from Euro1 to Euro6 - represent the total amount of exhaust gas emissions that are legally permitted from a car. They measure carbon monoxide, hydrocarbons, nitrous oxide (NOx) and particulate matter. While Euro1 heralded the fitment of catalytic converters to petrol cars to reduce carbon monoxide emissions in 1992, the latest standard - Euro6 - reduces certain pollutants by up to 96 per cent compared to the 1992 limits. 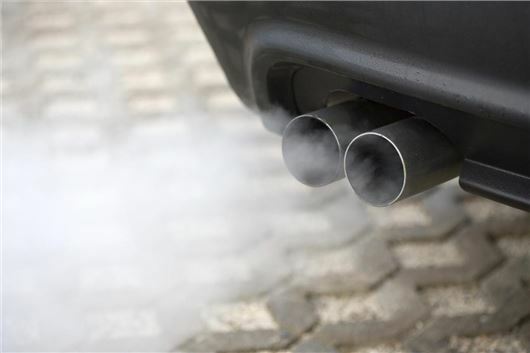 As different cities around the UK start to impose charges for higher emission emitting vehicles, it's important to know whether certain bans, restrictions and fines could be headed your way. Petrol and diesel engines produce different types of emissions, so they are subject to different standards. Diesel vehicles produce more harmful particulate matter, for example, leading to the introduction of diesel particulate filters (DPFs). From 20 May 2018, any Euro5 diesel that emits visible smoke of any colour will automatically fail the MoT. DPFs will also face mandatory checks, with failures being issued if the tester finds evidence of removal or being tampered with. While many European cities have already introduced clean air zones, British cities like Birmingham, Derby, Leeds, Nottingham, Southampton and Oxford are drafting plans to reduce urban air pollution. This means that some zones will include either charges to enter an area or restrictions for certain types of vehicles. You also need to know your Euro emissions standard to drive in London because of the T-charge, and the Ultra Low Emissions Zone (ULEZ), which will replace the T-charge in April 2019. Some London councils have already started to charge owners of diesel cars more for parking permits. From September 2018, the Euro standard to which a new car has been certified will be shown on the V5c vehicle registration document, as well as the DVLA website. The cars chosen to be tested in the new WLTP, which took over from the NEDC, are selected randomly from production lines by the legislative body. In theory, manufacturers can't supply a particular model that could produce better results. However, as Volkswagen proved, car makers can still bypass these regulations without doctoring a test model. More than one million cars from the Volkswagen group - including Volkswagen, Skoda, Audi and SEAT - were sold with 'defeat devices' between 2009 and 2015. The EA189 diesel engine was fitted with sophisticated NOx (nitrogen oxide) emissions software, designed to artificially lower harmful gasses and cheat EU laboratory emissions tests. The Euro6 emissions standard, as well as the addition of the Real Driving Emissions test (RDE), aim to ensure vehicles are tested more accurately.